Hey Please Check out my Facebook @ https://www.facebook.com/Urbanrcla ​﻿​ Well we have been beating around the bush on the Tamiya TT02 Carrera RSR Kit build…. 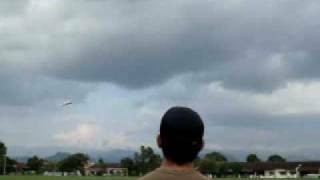 Building rc glider in fast motion. Homemade 5mm depron and packing tape rc plane.Motor Turnigy XP D2836/8 1100kv. SF propeller 8×6.Batterie 3S 2200mAh. intro by Mr. EmO http://youtube.com/Th3EmOo.